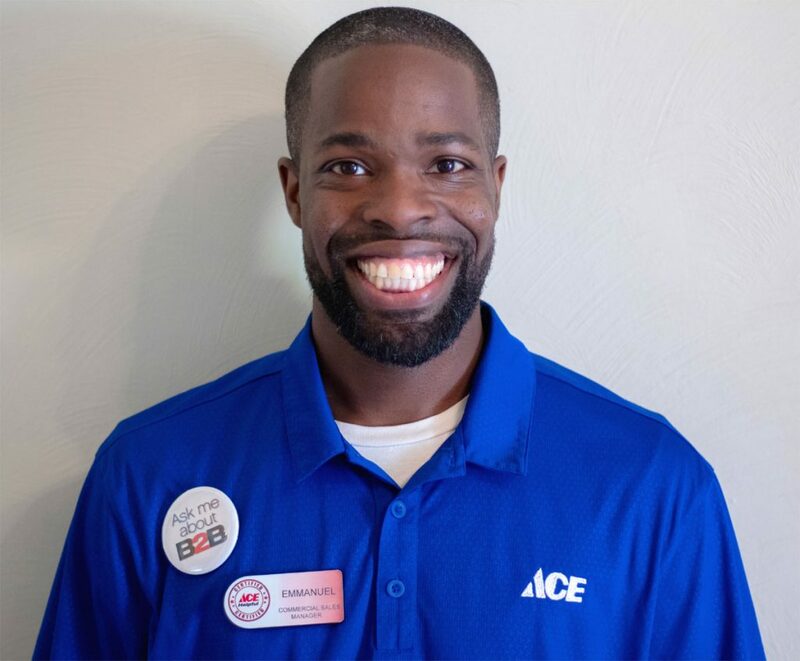 Emmanuel Adams - manages the Business 2 Business (B2B) program at ACE Hardware Williamsburg Virginia. 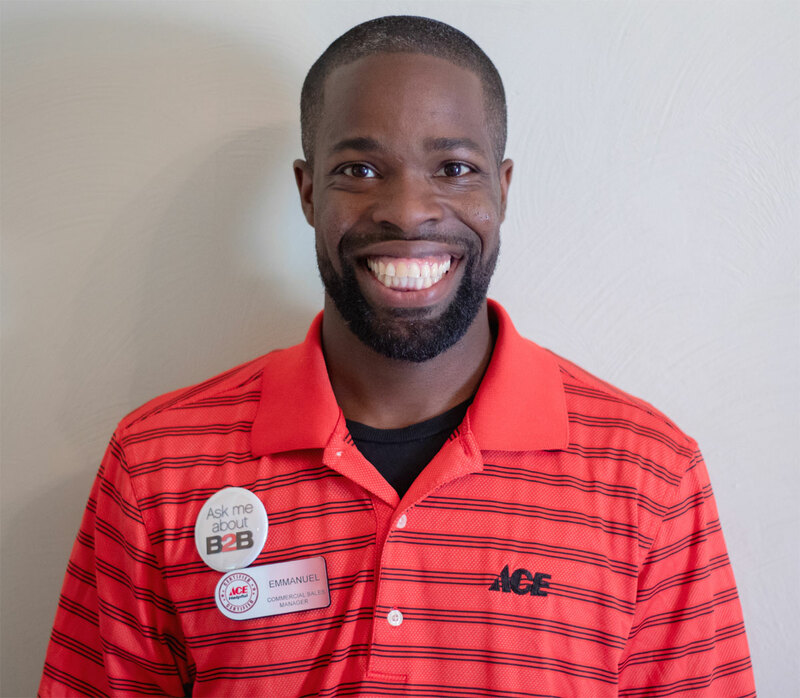 Emmanuel Adams is the Commercial Sales Manager or B2B (Business to Business) Manager for ACE Hardware in Williamsburg, VA.
He’s a resourceful business major with proven and diverse management experience, excellent people skills, and meticulous organizational abilities. His occupational background includes AAAA Self Storage Facility Manager, Account Sales Executive of ProSource Wholesale Floorcovering, and Lowe’s Department Manager of Hardware, Lumber & Building Materials, and ProServices, to name a few. These days, if he’s not chasing his two very young children or spending time with his hard-working Domestic Engineer wife, he might be involved in ministry at Waller Mill Bible Church (from puppeteering to children’s Sunday School). 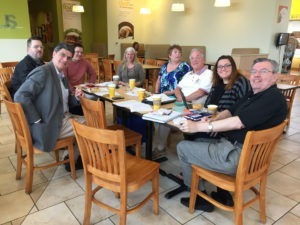 Other endeavors include attempts to be more involved in Gideons International, and working on his Master Gardener’s License with the James City County/Williamsburg (VA) Master Gardener Association starting January 2019. We'd like to make your business, our business. You will appreciate friendly, Ace Helpful Service when you shop for your business needs. As a local business in your community, we're faithful to help you save time, money and to help your business run more smoothly. 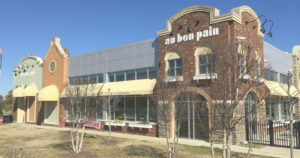 Commercial/Business customers enjoy a helpful retail store environment with many special services that are done nowhere else in town. 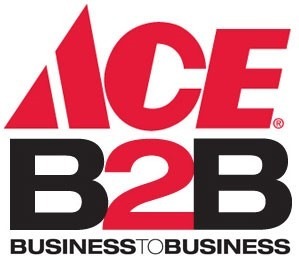 Our Ace In-House Accounts program guarantees instant 10% off at the POINT-OF-SALE. Free deliveries are made daily within a 10-mile radius of the store. Longer deliveries are available. Our point-of-sale system will ensure that only your authorized employees can use your in-house account. If purchase order numbers are required, these can be made obligatory at check-out. Businesses need a variety of items on a frequent basis. Items such as light bulbs, door lock sets, chip keys, hardware, cleaning products, paint, and many other things can be priced in bulk. Just ask for a quote! We will guarantee that items important to your business are in-stock at all times. Speak to Emmanuel about your volume requirements and we will establish in-stock minimums to meet your requirements. We stock thousands of individual items in our store, but there are also more than 65,000 items available for special order from our Pennsylvania warehouse at no extra charge, all in which have about a 2-3 day lead-time. If you are a tax-exempt (government, charity, church, resale, etc. ), we can make your non-taxable purchases a quick and easy. And yes, we are SWAM-certified! Download and complete a Commercial Account Application10 and fax/email/mail/hand-deliver it to us anytime. Emmanuel can contact you within 3 business days of receiving your application. APPLY TODAY AND START SAVING!